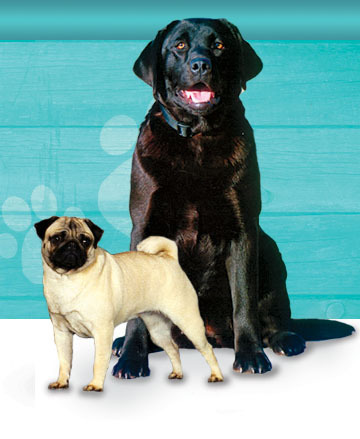 At Devonsleigh we specialize in Labrador Retrievers (black, yellow and chocolate) and Pugs (fawn and black). We are a country hobby kennel that focuses our breeding program primarily on two things: health and temperament. We have owned and produced dogs that have accomplished the highest achievements in competition: Best in Show, High In Obedience Trial and winners of Retriever Trials but the most important thing to us has always been soundness and disposition. All of our puppies come with a written warrantee for health and temperament. We feel, as Breeders, that we bear a great responsibility to the future of the breed. Before a Labrador is used in our breeding program they must pass several genetic tests: Hips and Elbows must be certified clear of dysplasia. Eyes are certified by a Board approved Ophthalmologist. Also, all of our breeding dogs are DNA tested by OptiGen to check for Progressive Retinal Atrophy (PRA). We also DNA test our dogs for CNM and EIC. We will not use a dog in our breeding program who has allergies or low thyroid levels. We stand behind the puppies we produce and will take back any one of our dogs at any time. We are available day or night for support for the lifetime of your puppy. Please contact us to request a copy of our health contract and warrantee or to request a copy of our puppy information package! We are located half an hour east of Peterborough which is an hour east of Toronto, Ontario. All of our puppies are raised in our home until they are ready to go to their new homes at 8 weeks of age. They are micro-chipped and registered with the Canadian Kennel Club (CKC). All puppies come with their first set of shots, will be de-wormed using two protocols and will be well started on their housebreaking and basic obedience. We also provide six weeks of free health insurance with PetSecure.